Product prices and availability are accurate as of 2019-04-18 01:30:54 UTC and are subject to change. Any price and availability information displayed on http://www.amazon.com/ at the time of purchase will apply to the purchase of this product. The Vault is a small form factor PC built for use as a firewall / router. 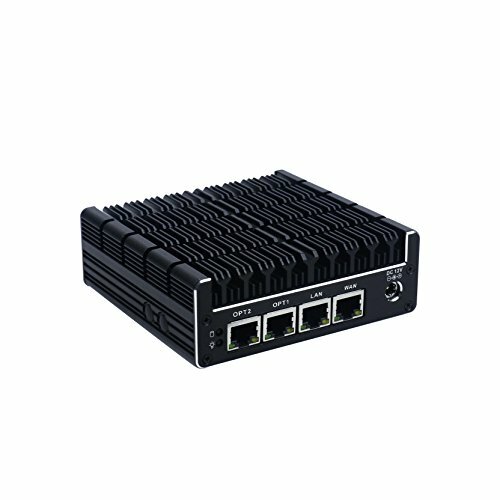 The FW4B is based on a 4 network port design that leverages a low power, but versatile Intel Celeron J3160 CPU. This CPU supports AES-NI, Intel's Hardware Acceleration for Encryption. 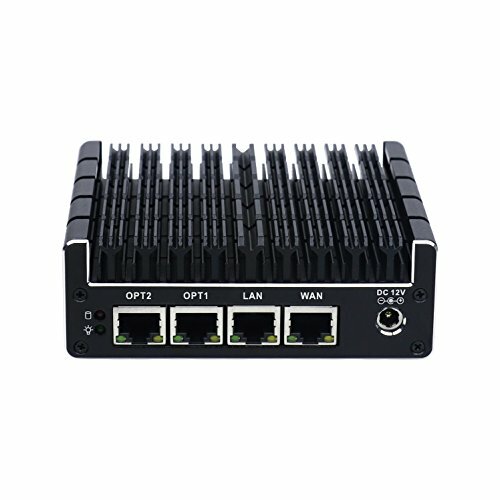 The Vault uses standard Intel components (including Intel network ports) which results in compatibility with a variety of operating systems, including a number of open source firewall projects. The Vault is fanless so it has no moving parts, which results in an incredibly durable platform that can be used in less than ideal environments. Its all aluminum enclosure (no plastic here) is a giant heat sink, keeping the CPU cool. The enclosure also comes with pre-drilled holes for an available Protectli wireless kit. 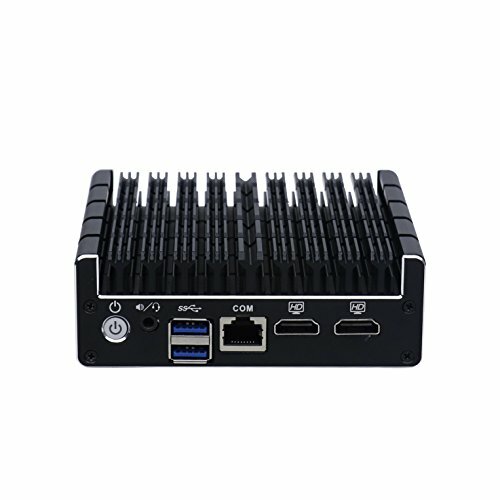 The FW4B can accommodate up to 8GB of DDR3L-1600 RAM and 1TB mSATA storage drive. For more information on tested OS compatibility with the Vault, please see our website.